Leonard J. Robison II has over 34 years representing Debtors in consumer and business bankruptcy cases in North Texas, including the Dallas – Fort Worth Metroplex, as well as East Texas – Plano and Tyler. He additionally handles IRS negotiating, creditor negotiating and litigation in the area of bankruptcy. Leonard J. Robison II is well known and respected by many of his peers for his knowledge in the area of bankruptcy law and is often sought out for referrals. 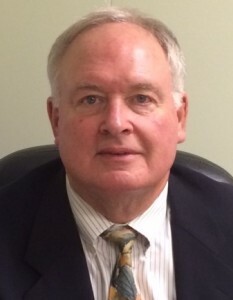 Leonard J. Robison II is a graduate of South Texas College of Law, Houston, Texas – 1974, Juris Doctor. Leonard J. Robison II is licensed and admitted to practice in the state of Texas, in all state courts; and, is admitted to practice in the federal courts of the Northern and Eastern Districts of Texas. Leonard J. Robison II is an Enrolled Agent before the Internal Revenue Service. Linda Wentsch, paralegal, has worked with Leonard J. Robison II for over 25 years and has expert knowledge and experience in the areas of consumer and small business bankruptcy. Linda Wentsch received her paralegal certification through the University of North Texas in 1996. Leonard has retired and is no longer taking clients.